AMD announced new Ryzen Pro APUs and all three major OEMs Dell, HP, and Lenovo were on display with corresponding products. We had the chance to talk with the manufacturers and check the new models hands-on. During the announcement of AMD's new Ryzen Pro APUs in California, all three major OEMs Dell, HP, and Lenovo showed new business laptops. Compared to the first Ryzen laptops in the end of last year, which were released very quickly, the manufacturers now had much more preparation time for the new generation. 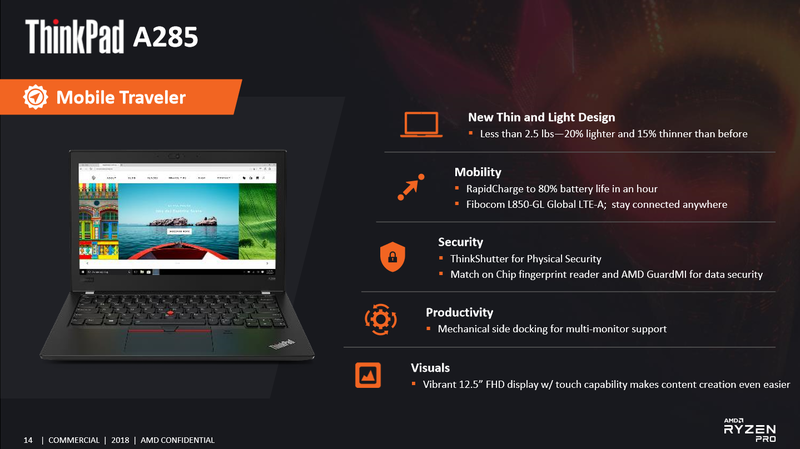 One noticeable aspect is that both HP (EliteBook 7xx) and Lenovo (ThinkPad A) use special product series, while Dell simply changes the last number of the designation (Latitude 5495). 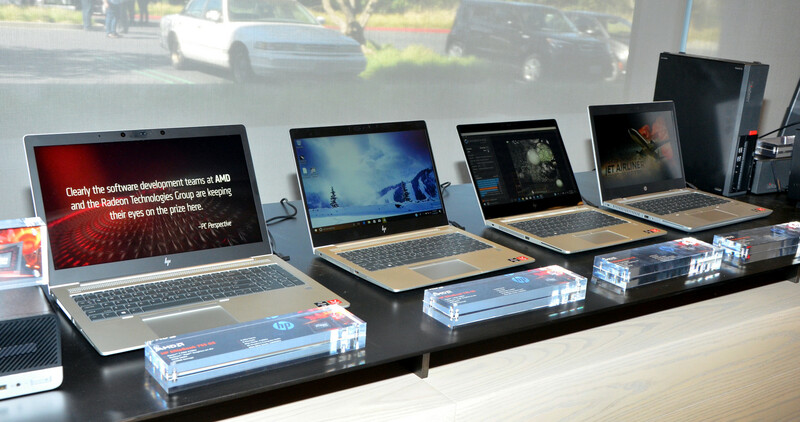 All three OEMs use familiar designs though, because you can also get the "same" devices with Intel CPUs. This means all the accessories are compatible with the two platforms as well. The following article gives a small overview about the new AMD Ryzen Pro systems. We will obviously review the new devices as soon as they are possible and find out whether they are real alternatives to the Intel systems. Dell starts with a mainstream AMD Ryzen Pro laptop. 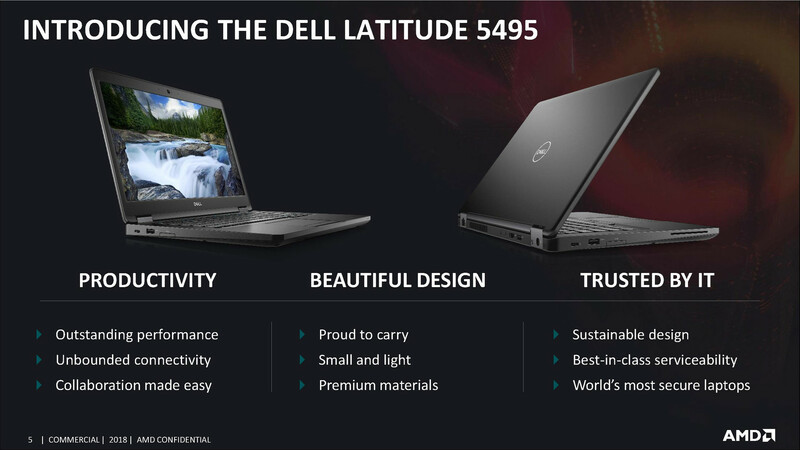 Based on the Latitude 5490 we already reviewed, the manufacturer now launches the Latitude 5495. It will be available with all three Ryzen Pro APUs (Ryzen 3, Ryzen 5 & Ryzen 7), while the other options like the display or the memory are pretty much identical to the Intel model Latitude 5490. The model is not yet listed in Dell's online shop, but Dell reps talked about immediate availability. HP packed four new laptops with AMD processors. 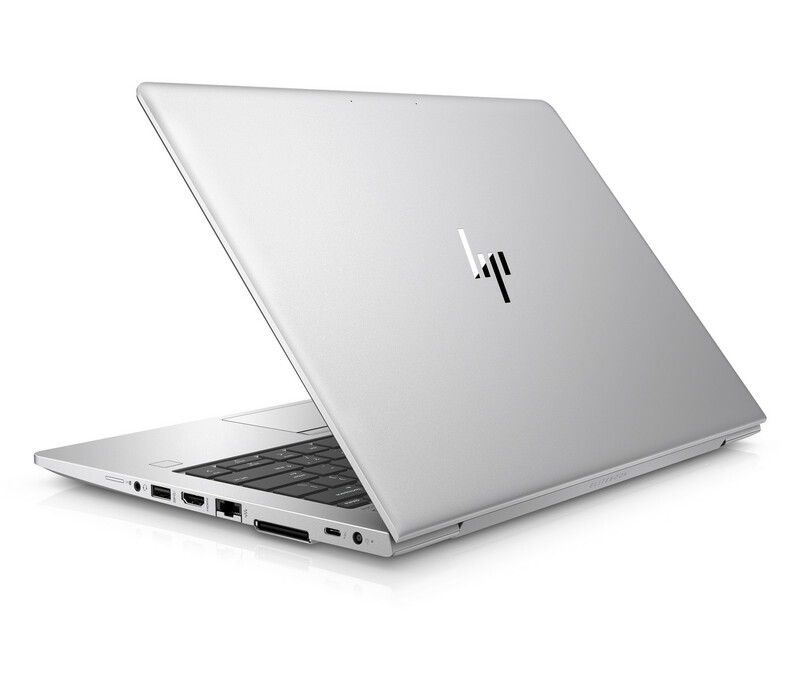 It starts with the ProBook 645 G4, which is based on the ProBook 640 G4. 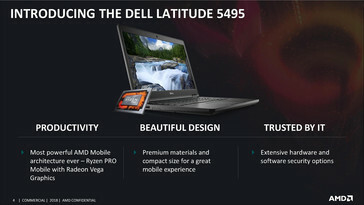 It is a direct competitor for the Dell latitude 5495 and is also available with all three mobile Ryzen Pro APUs. 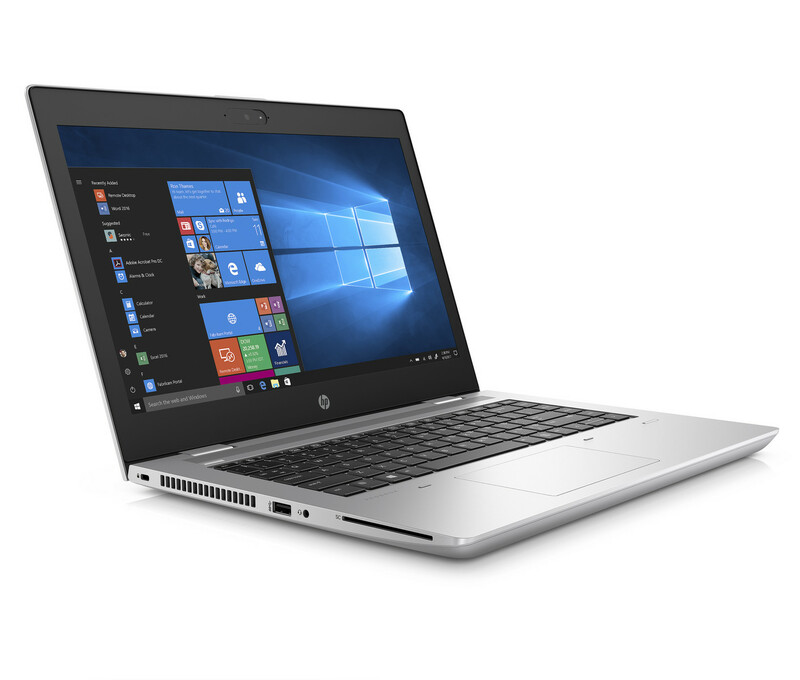 The ProBook 645 G4 launches in May starting from $759. 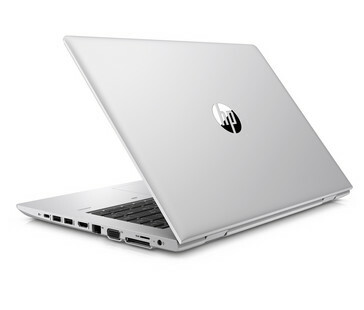 The other three laptops are called EliteBook 735, 745, and 755 G5. 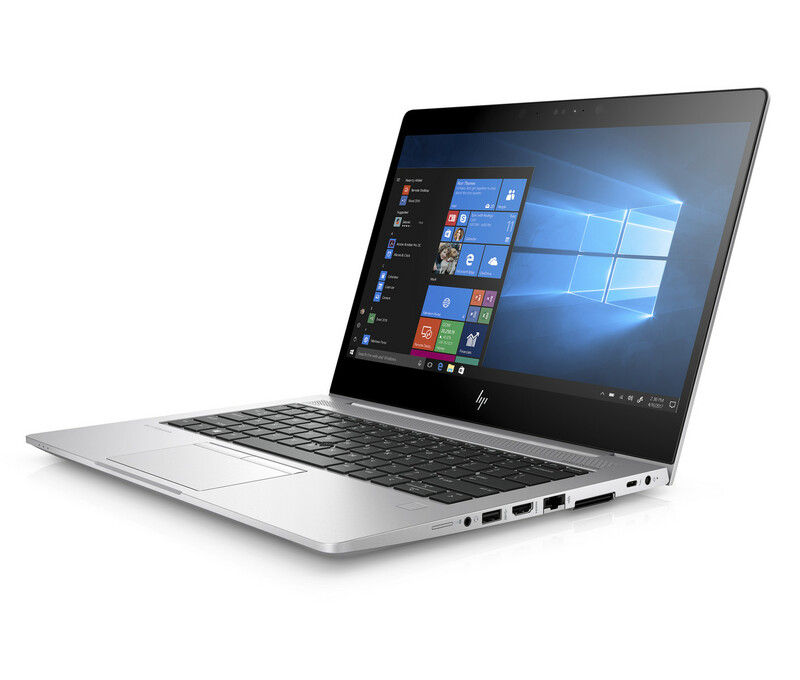 They are basically the AMD counterparts to the EliteBook 800-series we already reviewed (EliteBook 830, EliteBook 840, EliteBook 850). This is supported by the features, including the included privacy filter SureView, the webcam with a mechanical cover, or the extremely bright outdoor display (only 745 G5). 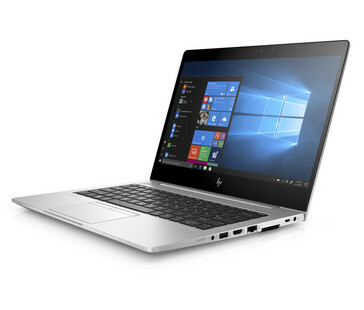 All the other specs are identical to the 800-series EliteBooks. Starting price will be $999 and the models should be available in May. Lenovo announced two new ThinkPads from the A-series, the ThinkPad A285 and the ThinkPad A485. They are based on the ThinkPad X280 as well as the ThinkPad T480. 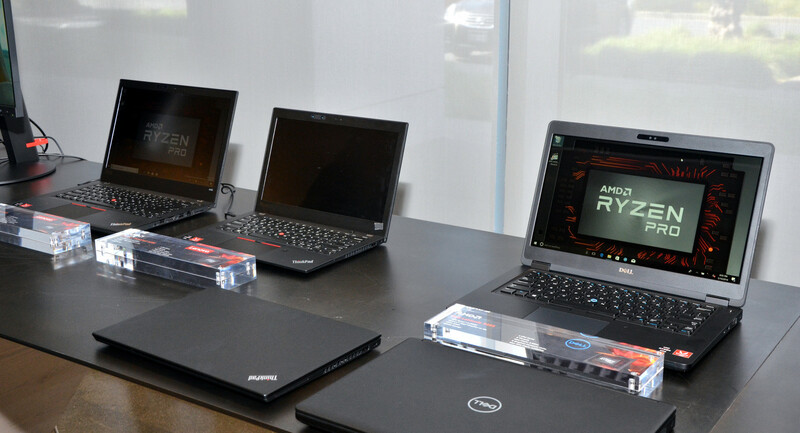 We asked the Lenovo reps on site why the existing T- and X-series are not just expanded, but the company wants to give the AMD based ThinkPads a unique name, and the A-series already exists. Lenovo seems very convinced by the new Ryzen Pro systems and hinted at us, that the AMD laptops are either on par with their Intel counterparts or even superior. The APUs in the ThinkPads can consume more power depending on the conditions. We are already eager to review the new models. The compact ThinkPad A285 is primarily designed for road warriors that need a light and compact device. You can choose between the two smaller APUs Ryzen 3 Pro & Ryzen 5 Pro, all the other options are similar to the ThinkPad X280. The 14-inch ThinkPad A485 on the other will be shipped with the Ryzen 5 Pro or the Ryzen 7 Pro. 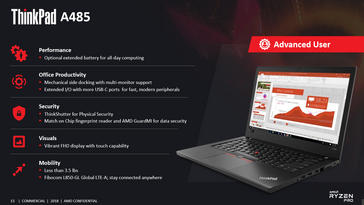 We are eager to see how the AMD ThinkPad will compete with the dGPU SKU of the T480. Lenovo did not announce prices or availability yet.